That thing not only looked good, it tasted good. I was so damn proud of myself I couldn’t stop talking about it. I told my husband his reign as the domestic deity in this household is clearly coming to an end. Once again it was fun to get the kid involved. 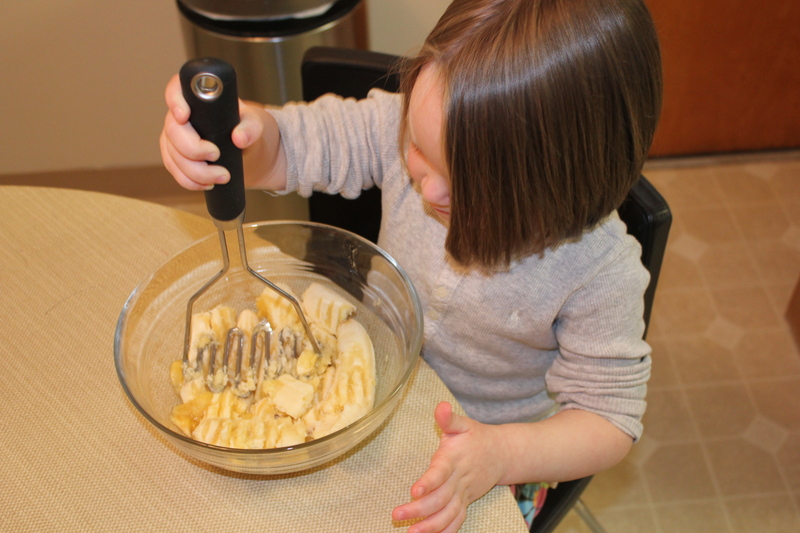 She liked mashing the bananas and mixing the ingredients. 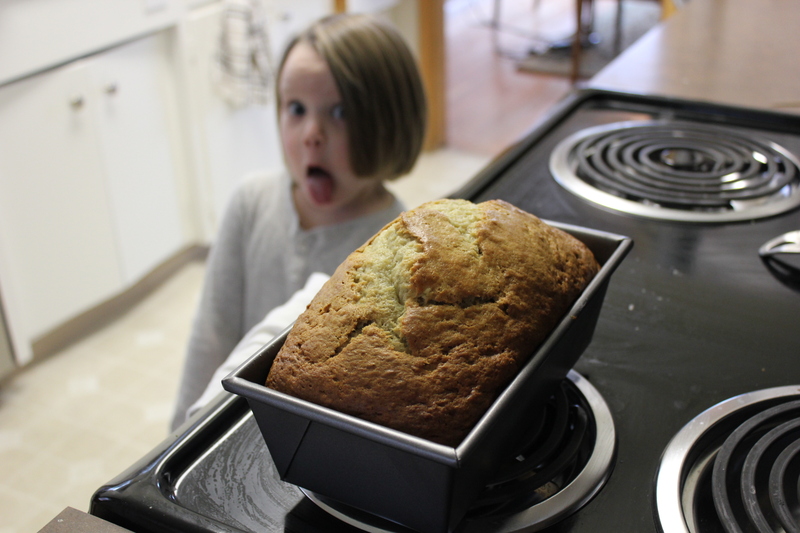 I’m realizing that baking is a lot more kid-friendly than cooking. Something about hot stovetops and sharp knives that kill the opportunities to involve a child in many meal creations. Now that I have an inflated sense of confidence, I think I’ll look for another treat to bake. Right after I go eat another piece of banana bread. So. Damn. Good.